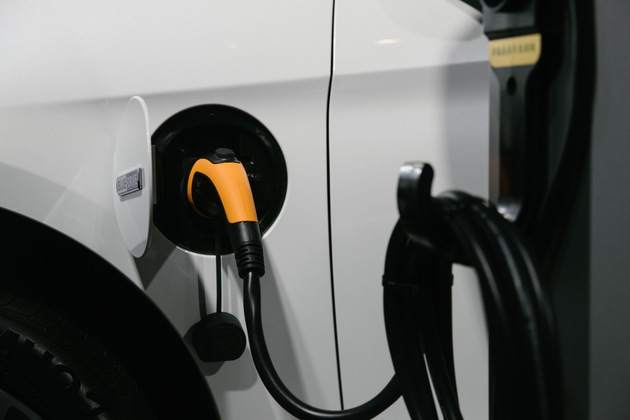 Jan. 25 (NBD) -- Chinese property behemoth Evergrande Group is quickening its step in piecing together its electric vehicle production chain by finally moving into the most important sector-- battery, as it accounts for half of the total cost of an electric vehicle. Its Hong Kong-based subsidiary Evergrande Health Industry Group Limited (Evergrande Health) announced Tuesday that it will acquire a 58.07 percent stake in automobile battery maker Shanghai CENAT New Energy Co Ltd (CENAT) with 1.06 billion yuan (156.2 million U.S. dollars), according to a filing to the Hong Kong stock exchange. The core lithium battery technology is now dominated by Japan. Being a joint venture of China Automotive Technology & Research Center and Japanese battery giant ENAX, CENAT shares the R&D team of ENAX. In addition, it is one of the earliest players that have gained credential from China's industry regulator and one of the battery standard setters in the country. It is also among the top 10 battery makers in China in terms of installed capacity and a supplier of mainstream car makers including SAIC Motor, Dongfeng Motor and Changan Automobile. Apparently, those qualities are what Evergrande Health values, which can bring it one step closer to its car maker dream. Actually, this is not the first attempt for Evergrande Health to pursue its dream after parting with Faraday Future. On January 15, Evergrande Health said it has entered into an agreement to buy Mini Minor Limited, whose only asset is the 51 percent shareholding in National Energy Vehicle Sweden AB ("NEVS"). After the deal, the 75-year-old brand and the pride of Sweden SAAB will be incorporated into Evergrande's car making plan. It is worth noting that U.S. car maker General Motor fully acquired SAAB Automobile in 2000 and made it one of GM's most important R&D base. In 2012, NEVS acquired SAAB Automobile's core assets and inherited all intellectual properties and patents. After years of development, NEVS has become a leading electric vehicle maker. Evergrande Group sated that NEVS will release a full range of smart electric cars, SUVs and MPVs worldwide, starting from this year. Back in last September, Evergrande Group became the second largest investor of Guanghui Group, the parent company of the world's largest distributor of passenger cars. To Evergrande Group, a full auto industry chain including R&D, production, distribution and sales, is gradually taking shape. Xu Jiayin, head of the property giant Evergrande Group, has long been eyeing the electric car market simply because the market is huge enough. According to statistics released by the China Association of Automobile Manufacturers, a total of 1.26 million electric vehicles were sold in 2018, an increase of 61.7 percent year on year. Miao Wei, head of the Ministry of Industry and Information Technology, once noted that he is confident the manufacturing and sales of electric vehicles are expected to total 2 million units by 2020. With regard to the future of the EV industry, Bohai Securities stated that as the subsidies for new energy cars is to decrease and prefer the ones with more advanced technologies, the mid-and high-end new energy cars will enjoy higher growth. Therefore, leading new energy car makers will grab a greater market as they have advantages in R&D and operation. Given that, Evergrande Group might have a chance to stand out in the market.